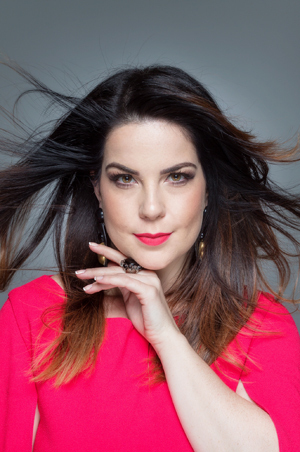 Italian-Brazilian soprano Camila Titinger was a 2015 prize recipient of the Neue Stimmen Singing Competition in Germany. In 2016 she opened the season of the Bregenz Festival in Austria under baton of Maestro Paolo Carignani and the Vienna Symphony Orchestra. In 2017 she made her made her French debut interpreting the role of Contessa di Almaviva in Mozart’s Le Nozze di Figaro at the Opéra de Toulon. In that same year she was a prize recipient of the Paris Opera Competition held in Paris at the Théâtre des Champs-Élysées. Other prizes include the Giusy Devinu Competition that was held in Cagliari/Italy. Camila is currently a member of the Centre Perfeccionament Plácido Domingo at the Les Arts in Valencia. In 2018 she was invited to perform with Domingo in concerts in Ljubljana, Strasbourg, and Boston. In 2019 she will make her London debut as Donna Anna in Mozart’s Don Giovanni at the Garsington Opera Festival. Recent engagements include Bachianas Brasileiras No.5 by Villa-Lobos at the Teatro Real of Madrid, a concert for the German Ambassador in Washington DC organized by Neue Stimmen, and operatic appearances as the Contessa in Le nozze di Figaro, Mimi in La Bohème, and Antonia in Les Contes d’Hoffmann all with Teatro São Pedro opera studio in São Paulo. Camila won the Brazilian Maracanto competition, was awarded second place in the Bidu Sayão competition, and is a former winner of the Maria Callas International Opera Competition.